This is YOUR Store in Levelland, TX! Consider Us For All Your Harvest Part Needs! Sprayer, Tillage, Irrigation, and Much More! Looking for Farm Equipment Parts in Levelland, TX? Rangler Farm and Spray Haus helps large agricultural producers improve their farms without overspending on parts and supplies. You can find anything you need to maintain or upgrade your equipment at our Levelland, Texas store. We carry farm equipment parts from some of the top brands in the industry, including Banjo and Teejet. Call 806-589-8338 today to ask about the parts you need to get your farm equipment back up and running. The Levelland, TX area is known for its abundant cotton and wheat production. If you work one of these farms, you know how challenging it can be to bring in a crop. Well-maintained farming equipment is essential to your success. Rangler Farm and Spray Haus understands your needs and makes a point to provide area farmers with maintained and upgraded superior farm equipment at a reasonable price. Drop in any time we’re open or call us at 806-589-8338 to find out if we have the parts you need in stock. 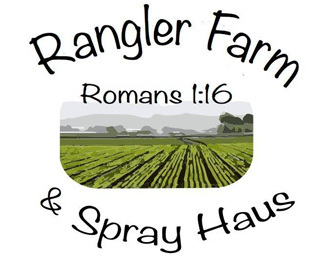 Rangler Farm and Spray Haus opened for business in 2017 in Levelland, Texas. Our owners—Ben, Jay and Clay—recognized a need in the area for a reliable provider of upgrading and maintaining farm equipment and parts. Since its launch, Rangler Farm and Spray Haus has been a lifesaver for farmers in and around Levelland. If we don’t carry the specific part you need, we will custom order it to get your machinery working properly again ASAP. Contact us to find out more about the services we provide.